As most folks now know, after suffering for 40 hours, wounded by an arrow, an African lion given the name "Cecil" was shot again - this time fatally - with a rifle. His tormentor was a dentist named Walter Palmer, from Minnesota, who had paid tens of thousands of dollars, traveling to distant Zimbabwe to kill animals: something he admits he loves to do. Cecil had been lured from a national park, which is illegal to do in Zimbabwe. And, the world took note. Cecil was wearing a radio tracking collar. His body was skinned, the head removed. Palmer's guide was charged with poaching and so was the owner of the ranch where this outrage occurred. Now, Zimbabwe wants to extradite Palmer from the US to face similar charges. Palmer has been the subject of outrage, all the more so for having poached before, when he lied about where he had shot a black bear in the US. His life has been threatened, his property vandalized, his business closed for now, and he has fled into hiding, hounded by relentless vitriol and images of him posted on social media posing with various beautiful animals he has killed. He looks so pleased; the animals look so dead. If there is a positive outcome to this situation, it may be to the degree that trophy hunting has received attention it would rather avoid. "'Sport' hunting is a sickness, a perversion, and a danger and should be recognized as such ... We know that we should protect the most vulnerable and helpless in society, not destroy them - much less derive pleasure from doing so. Thankfully, those of us with a conscience are appalled by the idea of gunning down animals for the sake of a thrill or a photo. Interest in hunting in Great Britain and elsewhere is steadily declining, since decent people prefer to hike, take photographs, kayak, and generally enjoy the outdoors without killing other beings." Palmer had already scored the "super grand slam" of North American trophy hunting by killing all of the "top 29" North American species and subspecies. And then, there is Sabrina Corgatelli, an American accountant who defended her own love of killing animals on a national TV show, saying: "There is a connection to the animal, and just because we hunt them doesn't mean we don't have a respect for them. Giraffes are very dangerous animals. They could hurt you seriously, very quickly." This last comment was likely in reference to disgusting images of her posing triumphantly with a giraffe she had just killed. In her Facebook account of this event, she wrote: "I got an amazing old giraffe. Such an amazing animal!!!! I couldn't be happier." There are hunters I've met who have no respect for the category of hunting known as "trophy" hunting, or even of baiting animals to lure them into range. Cecil was lured from the park refuge by the smell of a dead animal tied to a vehicle, at night, and shot when caught in the glare of a spotlight. We would never know but for the radio collar, put there by scientists from Oxford University studying lions in the nearby park. We have learned of other such lions being shot for the same reason. 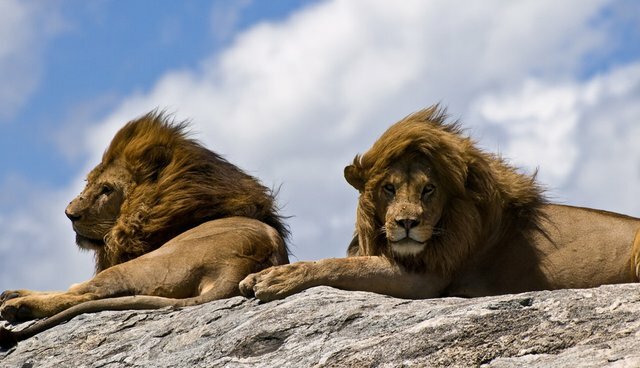 Indeed, lions are in serious decline, heading toward extinction. Killing animals for trophies continues day after day around the world. It seems even reminiscent of those serial killers who take some trophy of their victims - some hair or a piece of clothing, perhaps - as if wanting to have a souvenir to aid memory of the event. Except, trophy hunting for animals is, too often, quite legal. And, while they may not be able to admit it to themselves, I think that, at some rudimentary level, trophy hunters realize that their love of killing is an aberration to other people. Thus, they may try to excuse it with rationales that, thanks to Cecil's sad plight, are now being held up to scrutiny. No giraffe threatens you, me, or Corgatelli. Even Cecil never bothered or threatened humans. The more sophisticated defense is that trophy hunting brings essential revenue to places like Africa, to be used for conservation. But, it does no such thing. We have found that revenue from trophy hunting is a fraction of what tourism brings to Africa, and people travel to such places mostly to see (not kill) live (not dead) animals. It is almost as if the trophy hunter somehow thinks that, with access to the art of taxidermy, the grace, beauty, power, and elegance of beautiful creatures can be possessed and owned as a reflection of their own competency. They don't "get" how pathetic they are in the eyes of other people. Some argue that trophy hunting removes geriatric animals who are past being able to contribute to the survival of the species. However, that was not true of Cecil, nor Corgatelli's "old giraffe," nor most other animals: often prime individuals. (That's the whole idea.). And, at any rate, the slaughter still begs the question of "Why?" Why do you want to kill anything? To shoot a warthog? A walrus? A giraffe? How can a person kill something so wonderfully alive and so evocative of the high plains and big skies as a pronghorn - for fun? No. I just don't want to do that. Most people don't. Those who do are the aberrant ones: the misfits, the insecure, the outright strange. They are a minority ... but not enough of a minority. They are killers in a world that's in desperate need of protectors. And, at Born Free, and in our offices everywhere - including mine up in Canada - that's why we're here.